This easy to use compact shower is the simple deck shower solution. 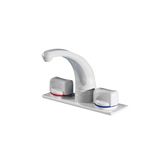 The shower boasts high performance levels while the one touch trigger allows effortless control and uses high quality marine grade materials ensuring reliability. 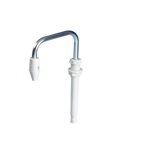 The shower is also simple to install with an angled holder and is virtually maintenance free. The original transom deck shower - Swim 'n' Rinse and conserve your water supply onboard. 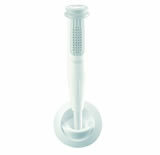 Lightweight and durable ABS shower range. 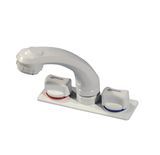 Neat swivel / fold down spout faucets ideal in sink areas with limited space. 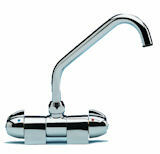 Neat swivel/ fold down spout faucets ideal in sink areas with limited space. 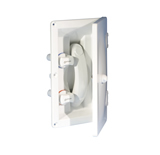 Unique patented transom shower with integrated temperature and flow controls in handset.